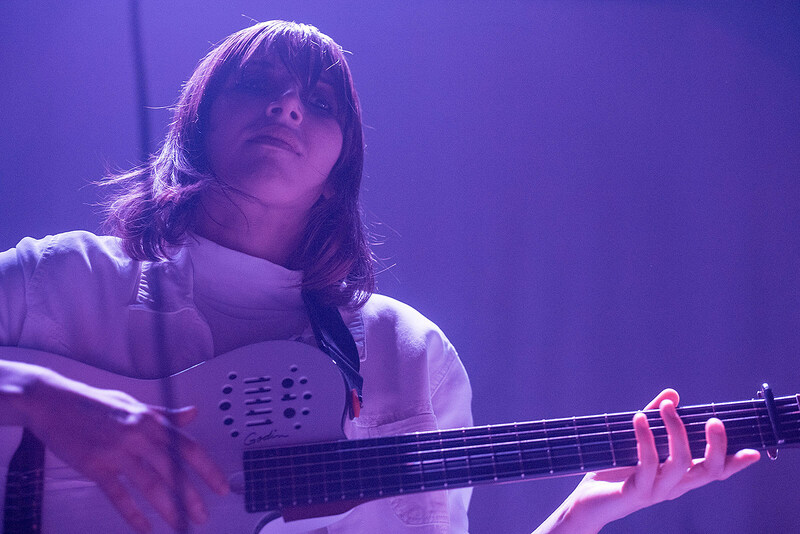 New Zealand singer Aldous Harding is gearing up to release her first album for 4AD, Party, the followup to her debut album on Flying Nun. The whole thing was produced by PJ Harvey collaborator John Parish, and recent single “Imagining My Man” features backing vocals by Mike Hadreas (aka Perfume Genius). If you haven’t heard that very good song, you can check it out below. Aldous was recently in NYC for a Rough Trade show (pics), and she’s since expanded her tour, including two more NYC shows. One is a BrooklynVegan x AdHoc Northside Festival show on June 8 at the Park Church Co-Op. That’s the Church in Greenpoint that hosts shows now, a setting that should be pretty awesome for Aldous’ gorgeous music. Tickets are on sale now, and you can also try to get in using a Northside badge (based on capacity). More artists TBA — stay tuned. Aldous also plays the Panache Northside showcase at Baby’s All Right on June 10 with Happyness and more artists TBA (tickets). Updated tour dates are listed below.